John Large - Technology, Hardware,Web Development, Digital Privacy & Ethics - I'm a Computer science academic, working towards a PhD. I'm researching digital privacy & ethics. I also run a busy e-commerce business. 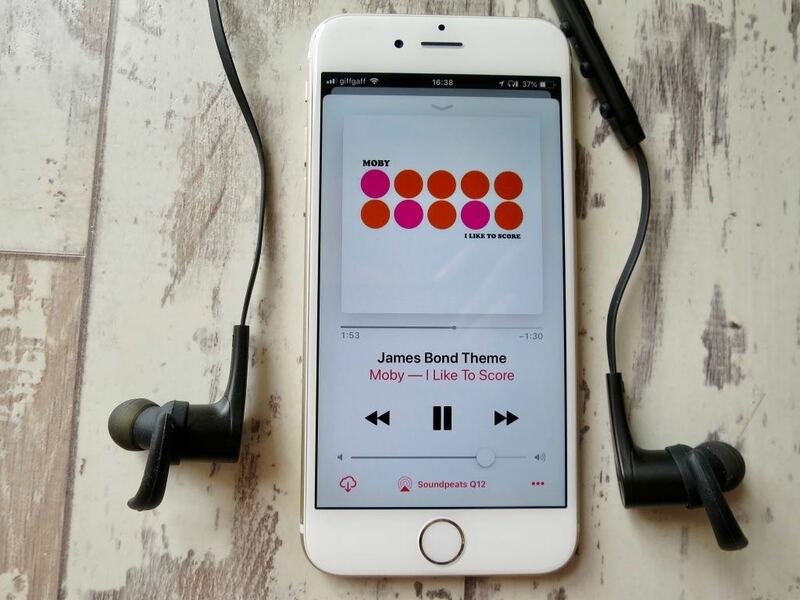 Over the last few months, I’ve been trying out Apple Music, Spotify Premium, Amazon Music Unlimited & Tidal. I also have my own music collection which is ripped to iTunes. My own collection is around 26,000 tracks, ripped from CD in Apples 256kbps AAC codec format using iTunes. I combine this with iTunes match both to backup my collection on apples’ servers in case of a disk failure & also to give me access to my music on my Apple & iOS devices. For years this has served me well & is a habit I will keep, but I was definitely interested in new music discovery so ventured into the world of streaming services. I’m not going to write much about Spotify, Amazon or Apple Music. After trying all three I’ve got to say I found Spotify the best for music discovery but Apple Music the best for sound quality & overall experience. Bear in mind that I use iMacs, MacBooks, iPhones & iPads so I’m heavily into the Apple Ecosystem already. 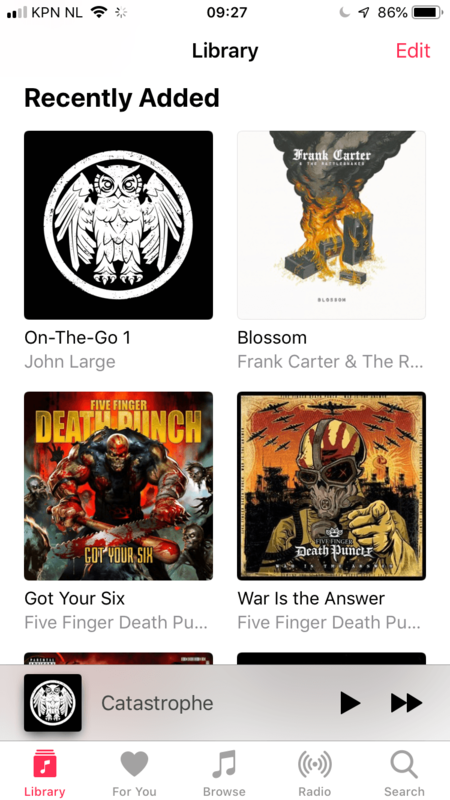 I did find however that Apple Music offered no significant benefits over my locally stored AAC, so I cancelled that subscription & went back to sourcing & curating my own library. On the whole, I’ve been very happy with 256kbps AAC. 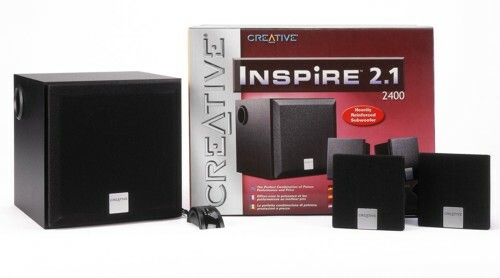 I mostly listen to music using my iMac and Creative Inspire 2.1 2400 speakers with bass sub (these powered speakers with sub are ancient & connect via a 3.5mm jack). These speakers are pretty old now but they’ve always sounded great & as an average consumer I’ve never felt the need to upgrade them. I’m sure many people reading this will have fancy monitor speakers & separate DAC’s, but this is aimed more at the home user so you could probably skip the rest. Last week I decided to give Tidal a go on their free trial. I’ve always played with the idea of Tidal, but with only a one month trial & a £20 a month price tag I’d always dismissed the service. I don’t personally know anyone else who has a Tidal account so it’s just not been on my Radar. After visiting Bang & Olufsen in Truro and hearing the most amazing sound, only to notice the owner was running tidal off his own iMac for that sound, I just had to give it a go. What can I say, I’m blown away by Tidal. I signed up for the Hi-Fi account which offers 320kbps AAC, but also all tracks are available as lossless quality FLAC files. The FLAC streams sound incredible, even on my modest setup. 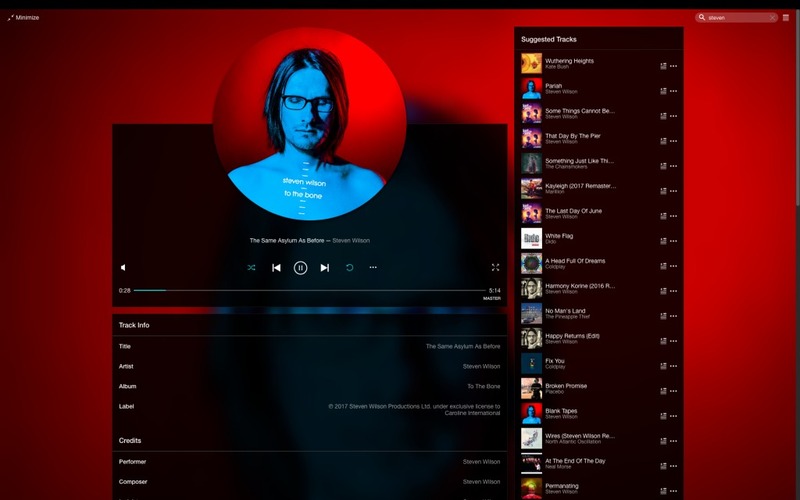 I can hear aspects of favourite songs I’ve never heard, such as plectrum scratches in Steven Wilson tracks & high-frequency percussion in Porcupine Tree tracks. I can hear a lot more high-frequency sounds, and vocals sound much crisper and cleaner. When compared to my AAC the sound is a lot more clear & less muddy. In comparison to my 256kbps AAC, it’s like listening to normal audio and listening with a towel over the speaker. I’ve got a few albums in FLAC, but storage of my entire collection has never appealed to me due to the time it would take to manage the files & the various backups I’d have to keep. I’m now keeping my music collection in AAC for personal use & use on the go, but predominantly listening to tracks on Tidal if they are available. Then we come onto the Tidal Masters. I could probably get even more out of them with better monitor speakers & an external DAC plugged into the mac, but as an average consumer listener, I’d rather hear the best I can with the kit I’ve already got. Masters do sound wonderful even on my kit, and although the MQA streams will be software decoded & downsampled slightly for my sound card in the iMac, there is no doubt the audio quality is sublime. I’ve had no issues with buffering of the streams & I even love the Tidal interface, especially the spinning disc effect on full-screen mode. I’ve got no problems at all with my personal collection staying in 256kbps AAC. The Matched tracks on iTunes match are deleted from my machine & re-downloaded so I have Apple’s own iTunes store copies/rips of the tracks. I’m not prepared at this point in my life to spend thousands on pro audio gear or a listening room. I just like to get the best out of the stuff I have & mixing my own collection in 256kbps AAC with a Tidal subscription seems to be a great compromise. At £20 a month it is quite expensive, but well worth it if you listen to more than a few hours of music every month. I’m really enjoying the Tidal experience & the extra boost in sound quality seems to be worth it. I can cancel at any time & fall back on my own vast collection, but I’ll play it by ear month on month. 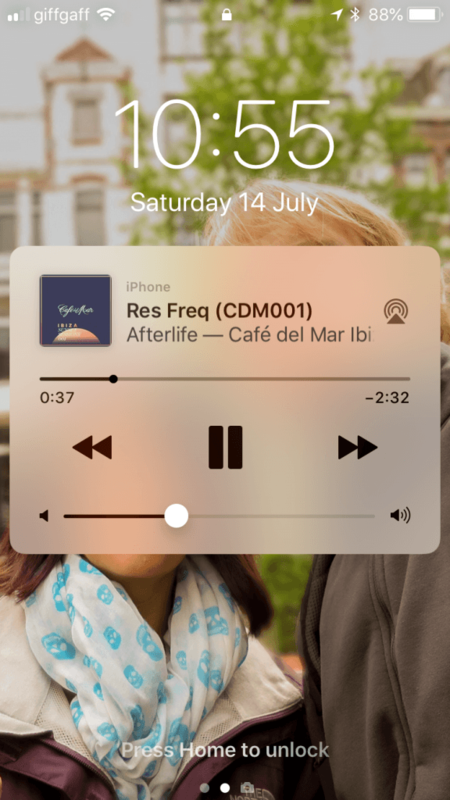 Tidal also sounds great played in hi-fi on my iOS devices, even when outputting to Bluetooth speakers, there is a definite improvement over my AAC tracks. In the living room, we have a stereo pair of Sonos Play 1’s. We live in close proximity to neighbours & have a modestly sized living room as I expect most of my readers will, and the Play One’s in stereo are more than sufficient in terms of both sound quality & power output. I’ve added My local music library to the Sonos system & I’ve now added Tidal as a music service. 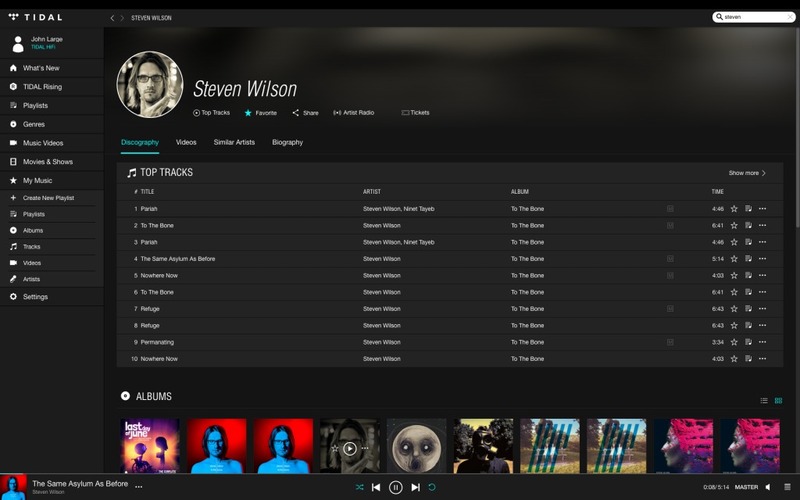 Tidal works really well with Sonos & again it’s a definite sound upgrade from my AAC. Sonos will only support the Hi-Fi FLAC streams at the moment, but these are of CD quality on the whole so it’s a clean and crisp sound. 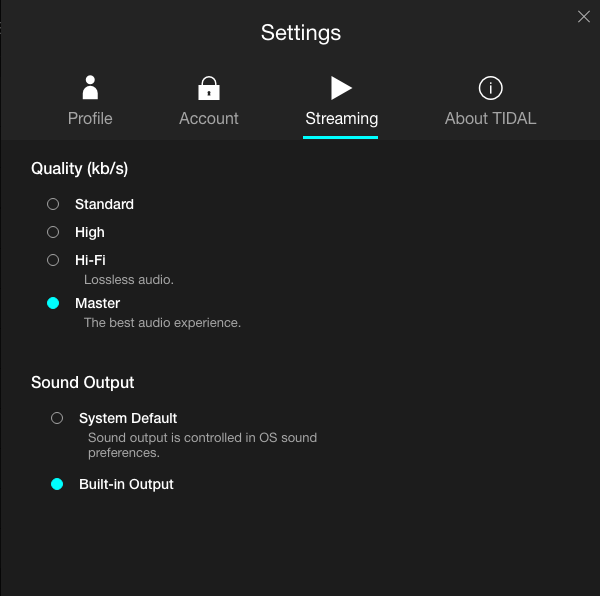 The Tidal App for iOS also supports Sonos as an output device so you can use the Tidal App and output your audio to your Sonos system. 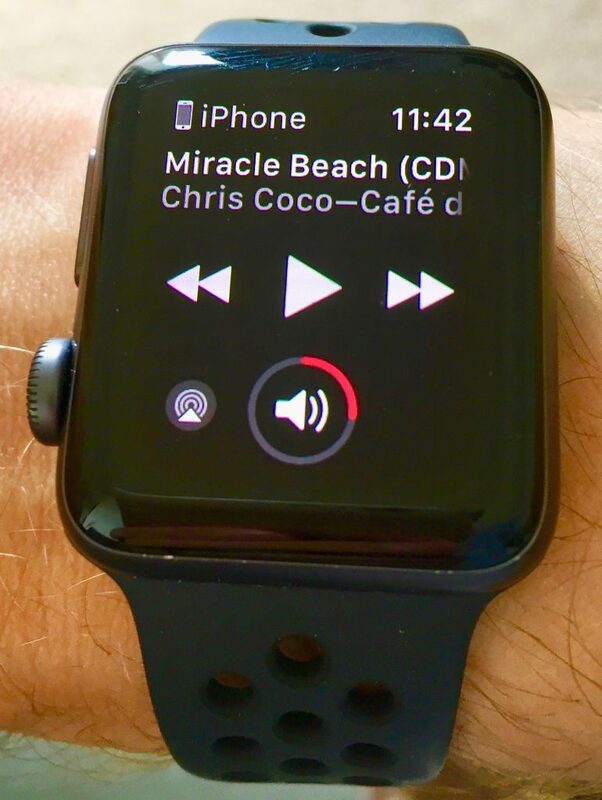 This is great for music discovery or to resume your listening when you come from outside listening on Headphones or in the car. When using earbuds on my iPhone 6 with Tidal, the improvements are more subtle. Tidal tends to have a little less bass than Apple AAC files, but the sound on Tidal tends to be more rounded & a slightly nicer experience. When listening to my Sony headphones, there is definitely an improvement over AAC. All of my kit is pretty standard and consumer level. It’s by no means audiophile quality, but most people I know are not that interested in investing thousands to listen to their music. I have a few Audiophile friends who have spent upwards of £20k on kit, and while it sounds wonderful, it’s a little bit of a diminishing return for the size of the improvement. For now, I’ll enjoy all of my favourite tracks on Tidal and keep my own curated library in AAC to supplement and archive my music. It’s not a great deal to pay out each month & the quality improvement is of tangible value. 256kbps AAC to FLAC is a big jump in quality. Anything above that on consumer kit just seems like overkill for the size of the improvement you would see. 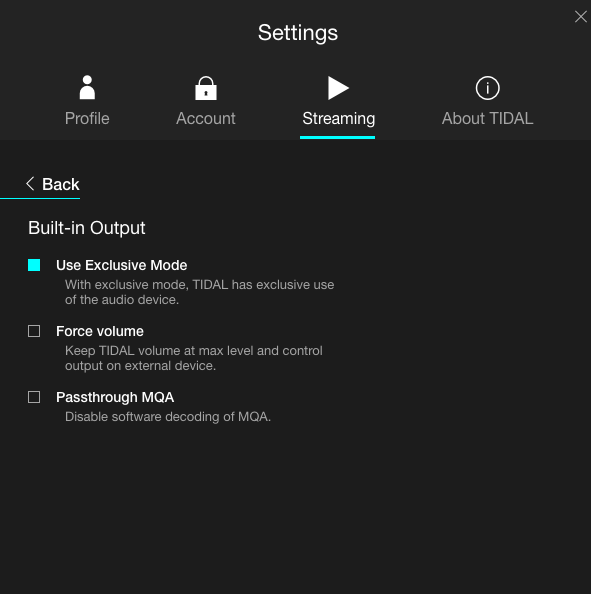 If you decide to give Tidal a go on a Mac, make sure to adjust your streaming settings to max out at Master, and also give Tidal exclusive use of the built-in audio device. This way Tidal will adjust your soundcards sample rates to take advantage of the improved audio streams. This really helped Masters to sound better on my machine (yes I know so downsampling will occur as my sound card can’t support that maximum sampling rate) But it does seem to max out my sound cards abilities & sound as good as it can on my current kit. I know I’ll get a million audiophiles telling me I’m doing it wrong, but after reading all of the reviews & What Hi-Fi magazine I was still struggling to figure out what would sound good on my relatively primitive & low-end setup. I expect most people will want to maximize what they have rather than invest heavily in a lot of extra audio gear. If that is the case, I suggest you give Tidal a go on their free trial. It has definitely changed my music listening & I’m even seeking out awesome sounding albums like Led Zeppelin & Talk Talk. Let me know your thoughts on this post & be nice. 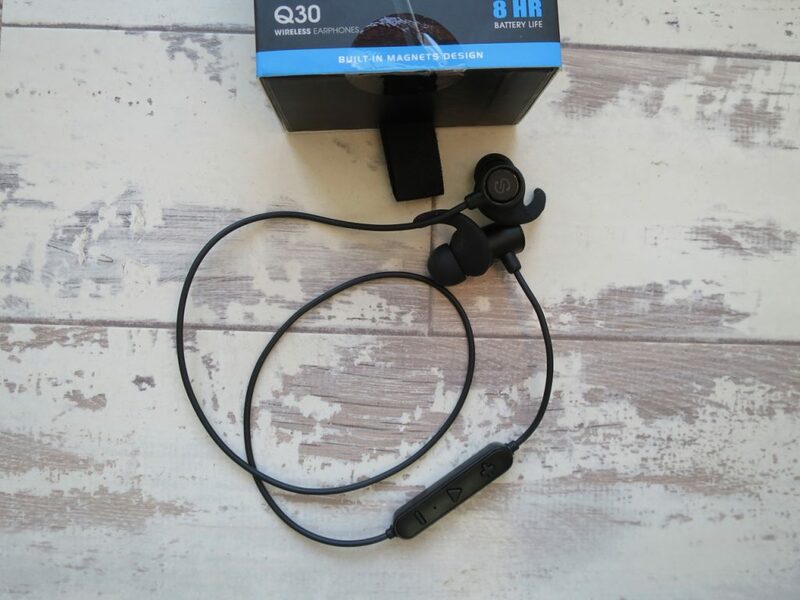 This single requirement has put me off Bluetooth and wireless headphones for a while until I came across the Soundpeats Q30 wireless earphones. 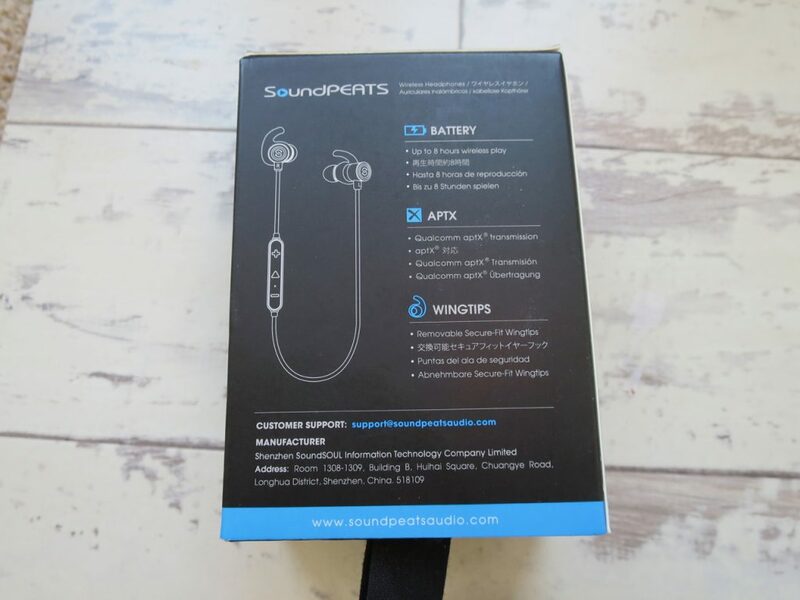 A few months ago I took a gamble on the Soundpeats P4 Bluetooth speaker. 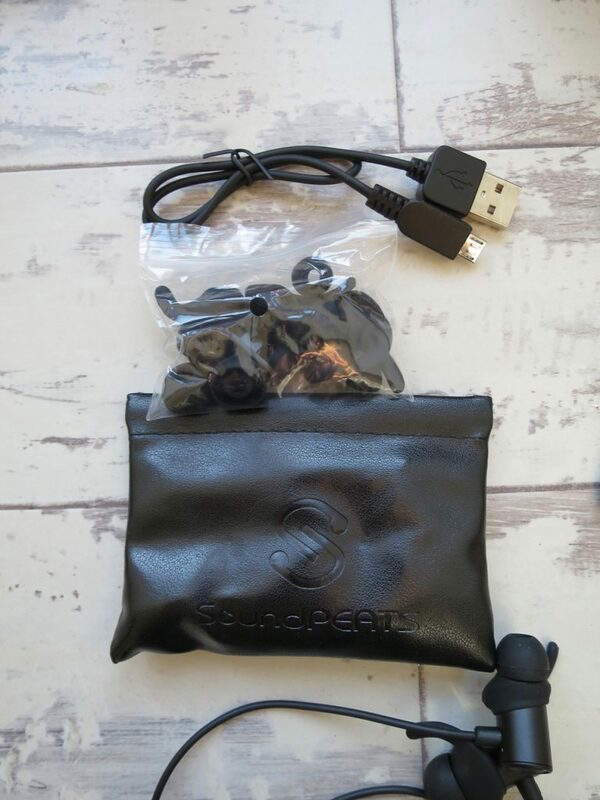 I’d been looking for one for ages and decided to give the really well priced Soundpeats P4 a go. I took the P4 on holiday and loved it, using it every day. I’ve used it every day since being home for the last few months so I can say the quality is outstanding. I, therefore, decided to check out what Sound Peats had to offer in the Bluetooth headphone department. A few of their products are the individual earbuds, which as I mentioned aren’t suited to my lifestyle. 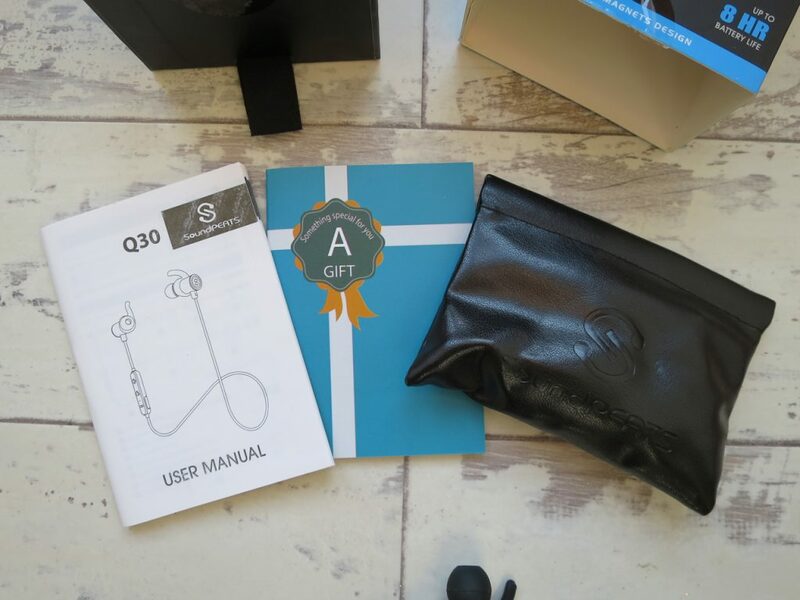 But then I came across the Soundpeats Q30 Bluetooth headphones. The buds are joined by a wire which runs around the back of your neck. The wire also includes a mic and volume/playback controls as you would find on Apple Earbuds. The real party piece comes from the design of the Q30 though. A magnet has been included on the rear of each earbud, so when you hang them around your neck to chat with friends, they click together and form a necklace so you don’t lose them. I personally thought this was genius from Soundpeats. 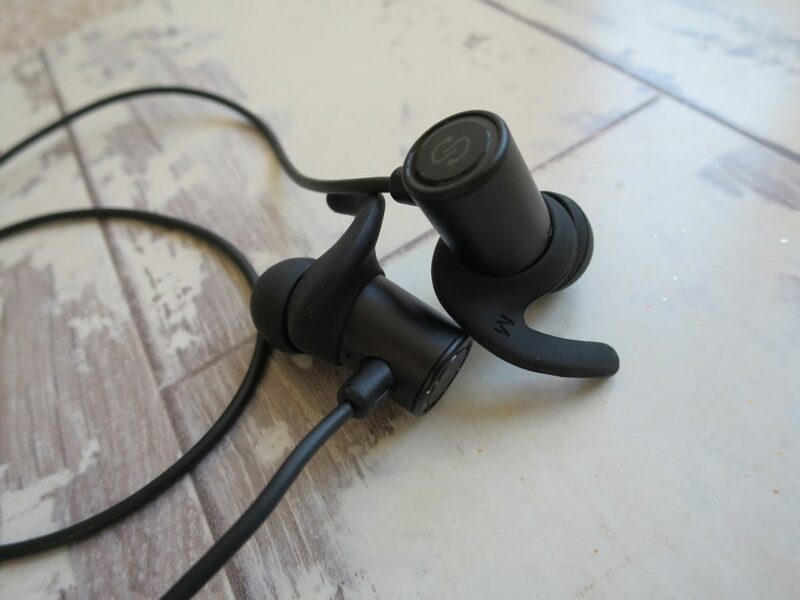 They are very reasonably priced offering at £19.98 on Amazon and are currently half price so if you like the review you should be quick & grab a pair while they are on offer. Now, to the headphones themselves. 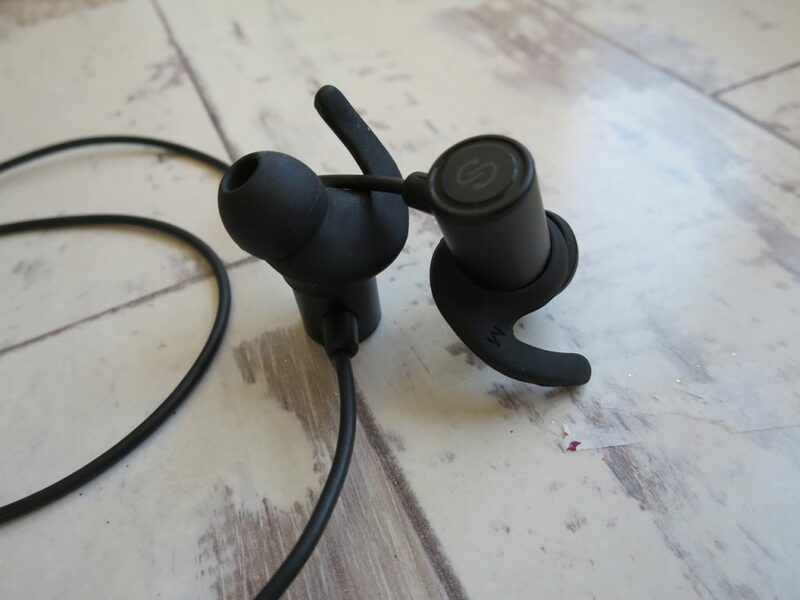 They are really well made and have a light alloy body on the ear buds. These things feel really tough. 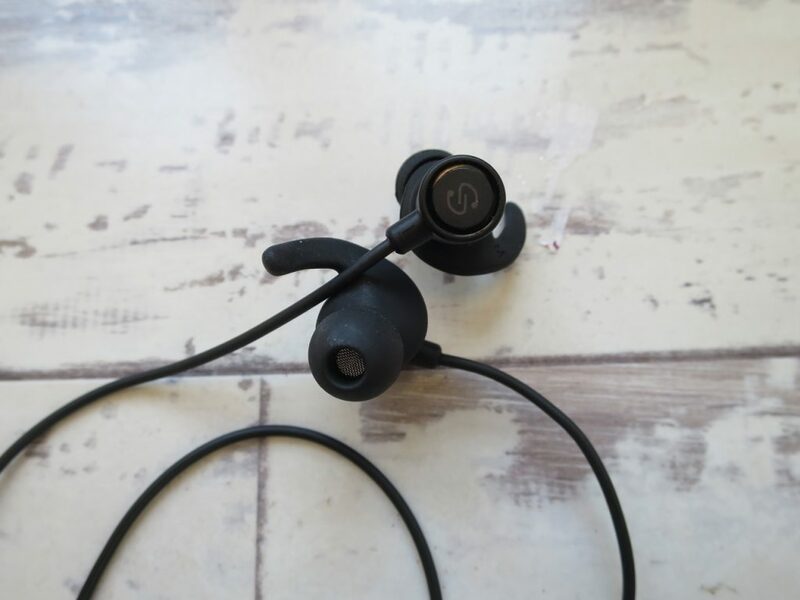 They are supplied with a range of in earbuds which are interchangeable and of varying sizes, so you can select the size which fits your ear most comfortably. I went for the biggest size so I get an almost vacuum seal fit. This, I find, blocks out most external noise and allows me to listen to music at a much lower volume and hear every note as you aren’t blocking out the environmental noises. 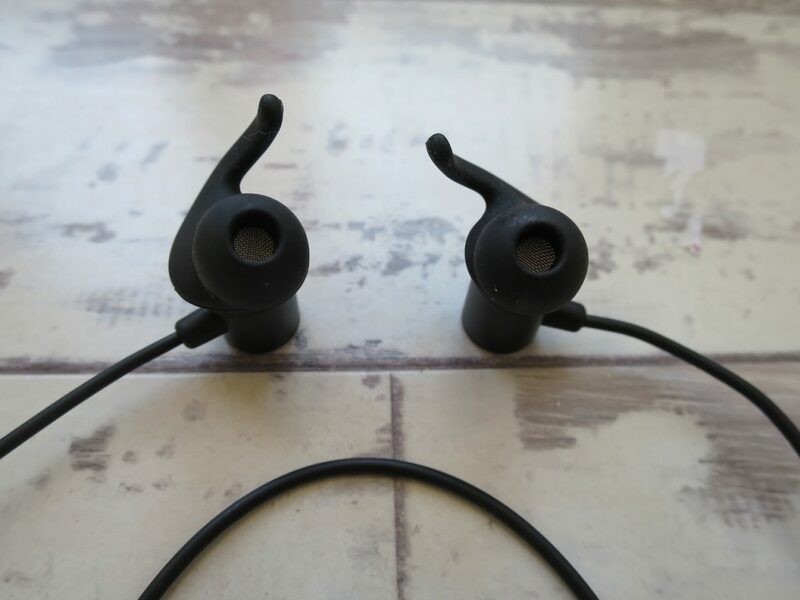 The fact that the earbuds are themselves joined by a wire means you don’t have any sync issues between left & right and you only need to worry about a single pairing, no chance of one ear losing signal like reports from much more expensive headphones. In the box, you also get an assortment of ear grips, which grip onto the inner part of your ear to keep them extra secure & finally you get a charging cable, all in a neat little leather effect travel bag. 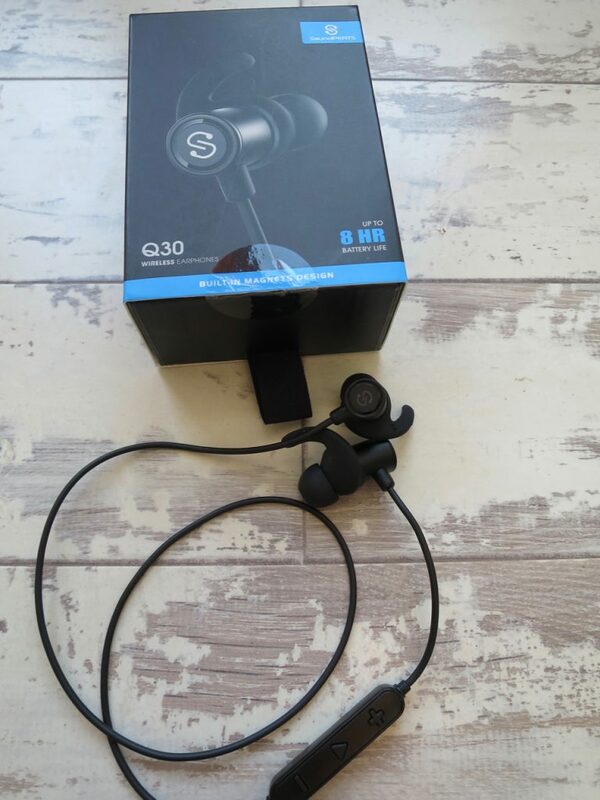 Due to the vacuum design of the earphones, the Soundpeats Q30 earphones offer a lot of clarity and bass, even at low volumes. You need to make sure the buds are positioned correctly in your ear for best results, but after a few times using them, this becomes second nature. The sound is rich and as good as a lot of much more expensive Bluetooth earphones I’ve tried out. Having the controls on the joining wire is also brilliant. They fall pretty much in the same place as I’ve come to know from my apple earphones and the controls are exactly the same, even down to a small microphone for taking calls or talking to Siri. 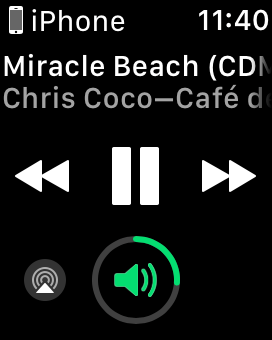 The volume controls and play/pause buttons are another must for me. I haven’t had any issues with these headphones regarding pairing with Bluetooth with my iPhone 6 or my MacBook. My iPhone remembers them and instantly connects when I turn them on. I would advise you read the instructions regarding the multi-function buttons before you start. 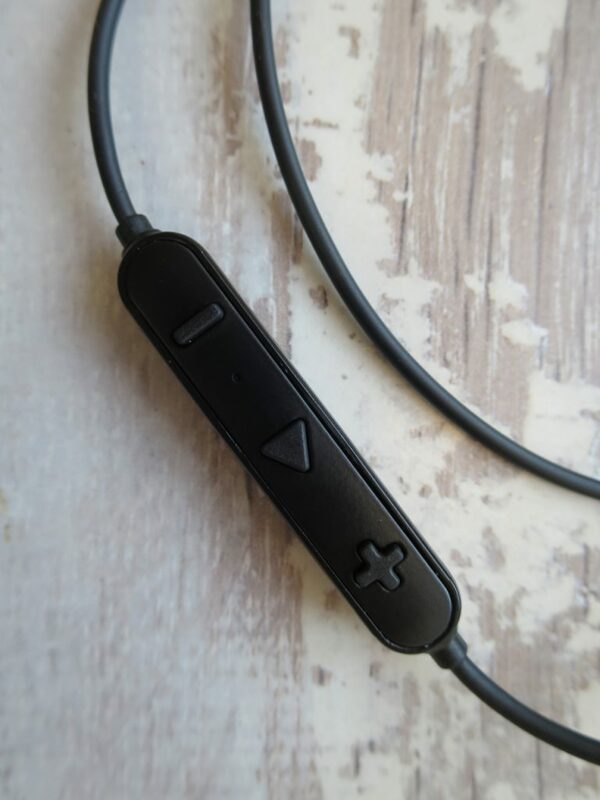 A long press of the play button is also the on/off button and as these are powered by a battery, which you charge with the supplied cable, you will want to turn them off when not using them. I can only say good things about these Soundpeats Q30 headphones. They are comfortable, dependable and the battery life is very good. I’ve only charged them on a couple of occasions and the iPhone gives me an indication of battery life via Bluetooth in the status bar. They seem to last much longer than the 8 hours quoted on the box but I expect this will vary depending on how you use them. Wearing them is a pleasure, they grip the ear very well and feel secure. I’ve used mine daily for all of my days around the city and they haven’t yet fallen out, even when running in the rain. The added benefit being if one falls out they are still connected around your neck & you can use the included line clamp to attach to your T-shirt collar if you need extra security. 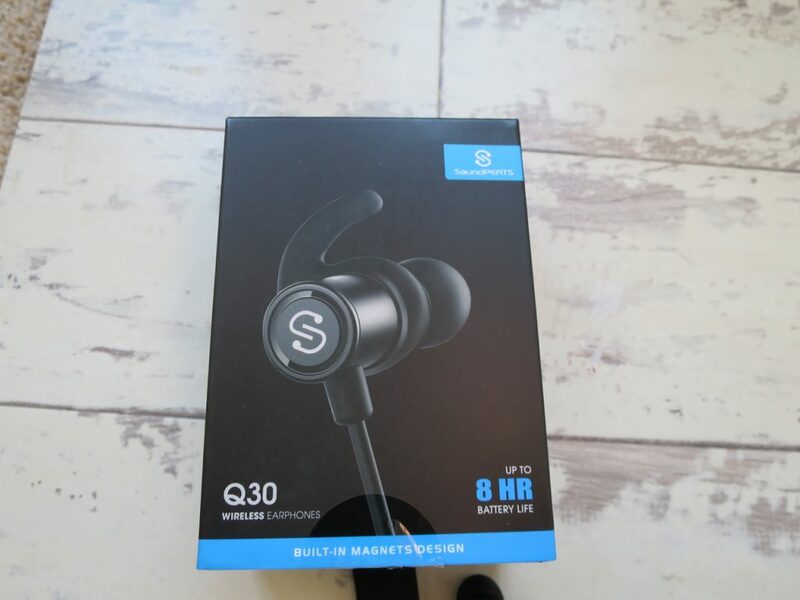 If you are in the market for a pair of Bluetooth headphones I would fully recommend the Soundpeats Q30 earbuds. 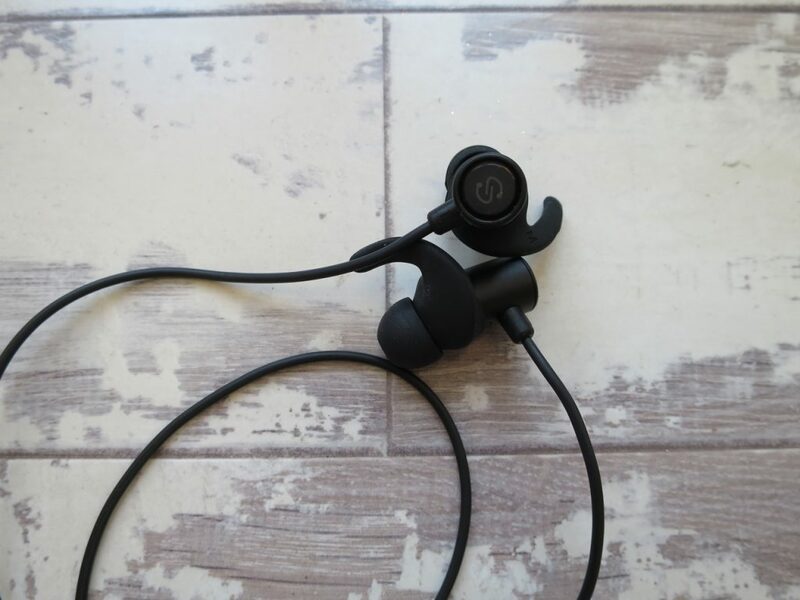 They are comfortable, sturdy, has great sound quality and features & at less than £20 they represent huge value for money. Google & Facebook are now seen as the major sources of online traffic. Google monopolises search, while Facebook monopolises information aggregation and links. Google’s business model is one of algorithms and control of search, with a natural bias towards paid links through their AdWords advertising programme. Over at Facebook we have a similar issue with their latest algorithms and the promotion of paid content & burying of non-paid content. Now, this is where it becomes a problem. These two companies aren’t in control of the internet as such, but they have become the defacto portals, the first port of call for anyone searching for information. They have become the default access points for information and produce a funneling effect. This means that information isn’t shared in a fair or democratic way, it all depends on how deep your pockets are & how much you are willing to spend on advertising. Then we arrive at the situation we are in right now in 2017. Elections & referenda have been won & fingers are pointing at Facebook & online targeted advertising. The proliferation of fake news spread via Facebook, and the political parties both home & abroad who are paying to influence electorates and buy influence are also in the spotlight. It’s the political which has brought this to the attention of the general public, but the same thing is happening on the broader internet. 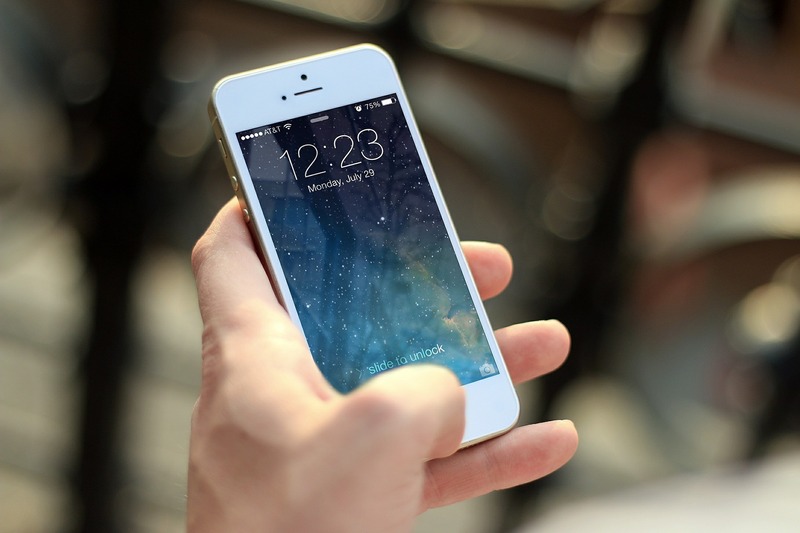 Small companies are unable to compete fairly online with large companies, uber is under the spotlight for undercutting on price and legal breaches, amazon is changing high streets the world over. A few massive companies are having a profound effect on our societies and most of us turn a blind eye for convenience or low prices. I’ve owned a small business for 10 years selling online & every year it gets harder to sell & more expensive to advertise. Until 2012 we had no paid advertising and all of our traffic came from organic searches spread across Google, Yahoo, MSN and various other search providers. Today, we spend around 25% of our monthly turnover on advertising with Google and still barely make enough money to pay us a wage. AdWords keeps getting more expensive & conversion ratios keep getting worse. But we have no choice as Google essentially spams their search results with paid adverts before a user even finds the organic hits. Google have cannibalized their competitors and 97% of all search traffic comes from them to our site. We are approaching a point in time where a few mega companies are controlling not the information online, but the access to it. You may have an amazing blog or website, but if people can’t find it, you can never establish your readership & expose readers to new content. Yet those who can afford it can buy clicks & in turn influence. The problem is not limited to buying clicks. It’s getting harder to make any money from your own content. The injustice is that the content that google make money off with their AdSense programme, and the revenue Facebook makes, comes largely from user-generated content. We write the blog posts, we create the Instagram’s, the Facebook posts (well I no longer use the platform, but millions do) and so on. We spend time creating content and sharing it. 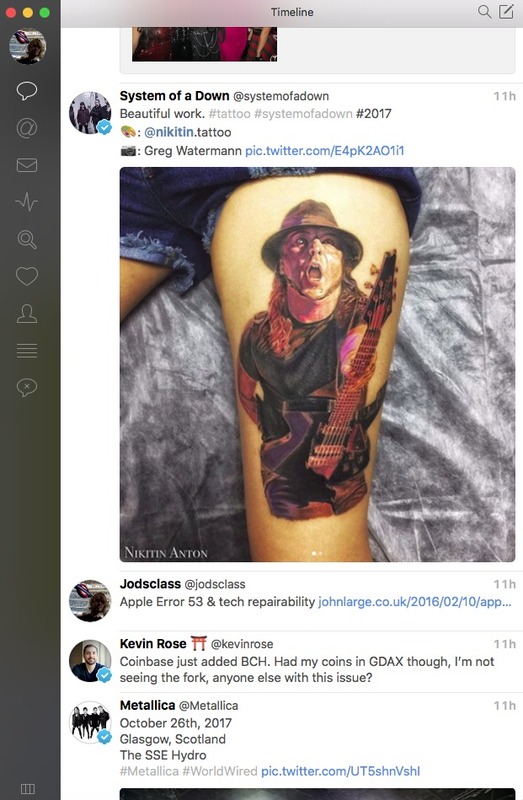 Meanwhile Facebook inject adverts into streams of posts, or amongst legitimate Instagram’s & pay you nothing. AdSense allows publishers to show adverts, but often they aren’t relevant to the content of the website & they pay very little money. 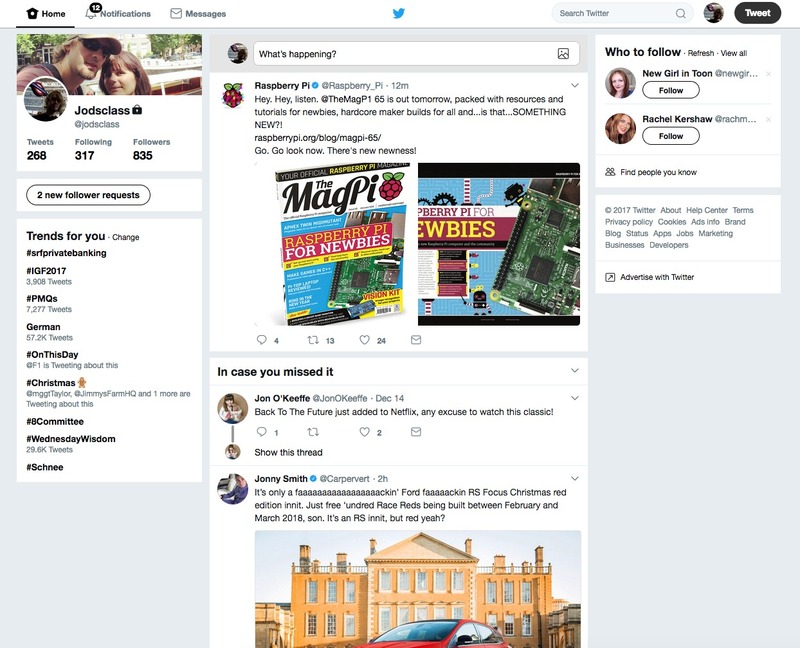 The balance of power has shifted from the content to the platforms. Without our websites and blogs, our news sites and our photography, google wouldn’t have a search or advertising business. Without our photographs and writing, Facebook & instagram wouldn’t exist & certainly wouldn’t be profitable. Yet they make all of the money and claim it’s in return for giving you access to the platforms. The data they mine off you is valuable enough, but then they advertise to you relentlessly. Google’s dominance of advertising online has led a lot of really good websites to haemorrhage money while still trying to produce content. 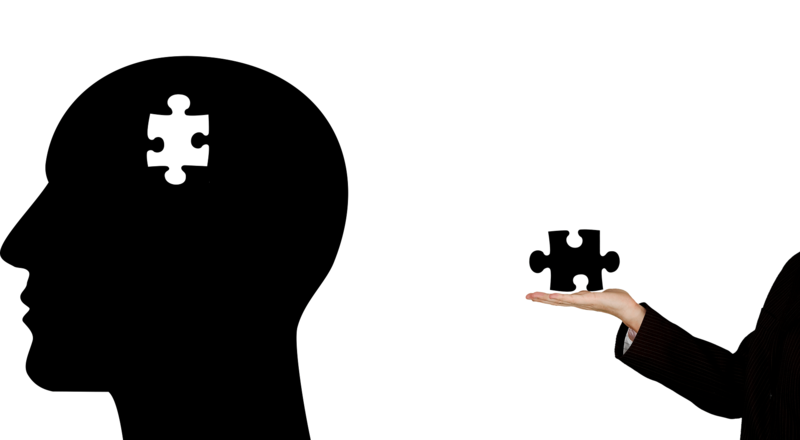 Advertising revenues for content creators are hard to make a living from, yet we create all of the value with our words, our videos and our pictures. The need to try to make the internet pay for writers & creators has led us down a dark path. News websites & creators now refer to their work as ‘content’. It has been cheapened to a quantity over quality model, and current world events highlight this perfectly. Fake news makes its authors money, but lacks all credibility and is usually complete fabrication. These elaborate stories garner clicks & create profit. The more outrageous, the more likely it will be shared on social media and the more it makes. The injustice being this rubbish content is normally really popular & profitable while exceptionally well researched & written content remains hidden. Visit YouTube and checkout the video titles. Click bait is king, the content is falling by the wayside. YouTube personalities will even publish videos saying they have nothing to make a video about, or asking for video ideas. Seriously? 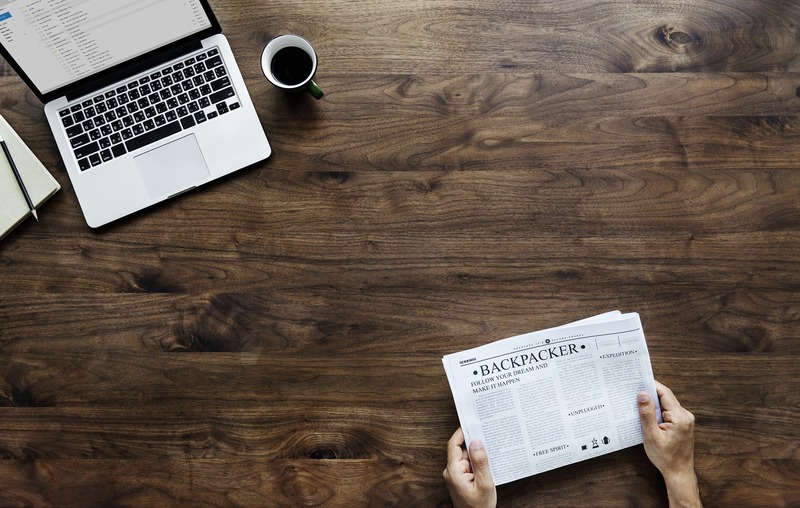 Blog posts with catchy titles and no substance (cue the comments section on this post), Instagram’ers advertising the latest slimming tea or watches, the content is created for the sole purpose of making ad revenue clicks, not for the value in the content itself. An Instagram of a watch is no different from an advert of a watch, it’s just stealth advertising, not a valuable contribution to your body of work. 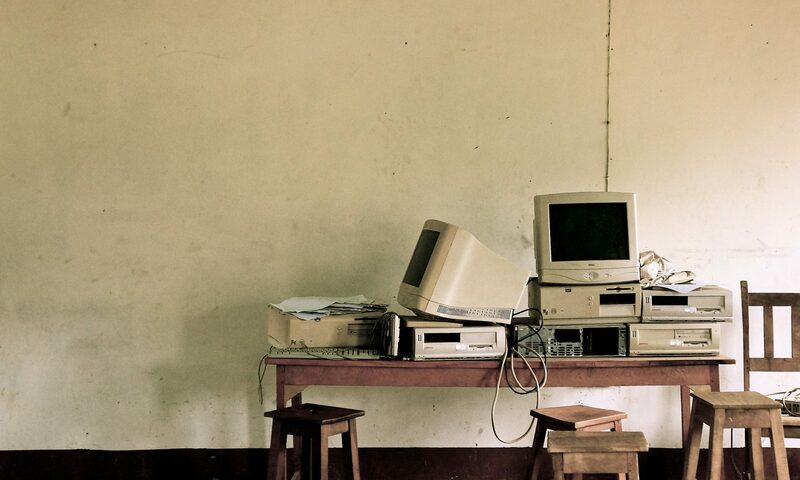 Hopefully, one day soon, we can return to an internet which isn’t governed by these advertising behemoths. I’m working on a way to help us get there & will share more about that soon. You are probably wondering what you can do to help? From a search point of view, why not try a different search engine? There are loads to choose from and you might just enjoy being exposed to new content. If you must use google, try to avoid the paid advertising and aim for the organic hits. This should help promote the production of great content over spammy content. If you must use Facebook, make sure you use the share button sparingly. Concentrate on the valuable content created by your friends & family, don’t contribute to it being a massive billboard & news farm. 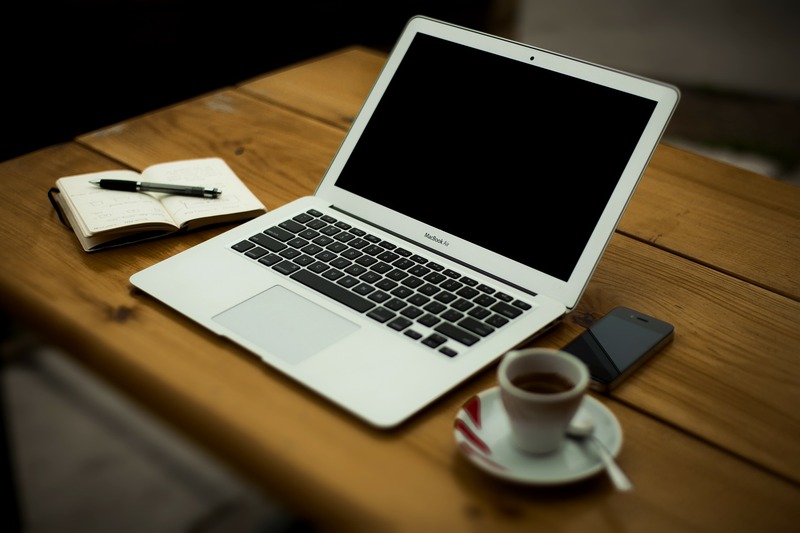 With regards your favourite websites, why not support them by sharing their stories. Pass on your favourite blogs or websites to friends or family & help out your favourite creators. If you see a relevant advert on these websites, check them out. It might pay them enough to grab a coffee and to write their next awesome article. Some blogs & websites will even allow you to chip in a few quid to help pay their bills. If you value the work, do consider doing so. 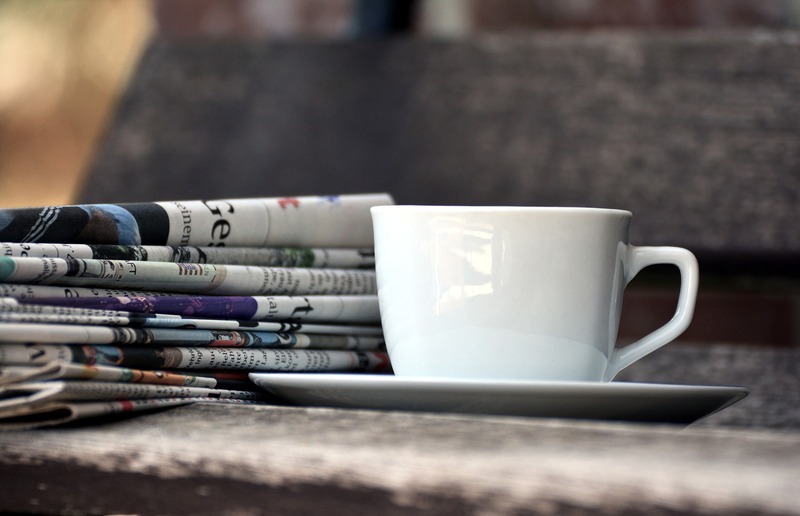 Try to ignore the live news feeds and un-researched news articles which come out constantly. Look for well written articles, long reads and proper investigative journalism. A lot of the non-paywall news websites have become content farms, desperate for clicks. This can make them a little like Alice down the rabbit hole. They can steal hours if you aren’t careful (sidebar of shame springs to mind). I’ve even taken to paying for my news from The Guardian & The Times. Good content deserves funding, and sometimes exposure to adverts is costlier than ethically funding your favourite writers. 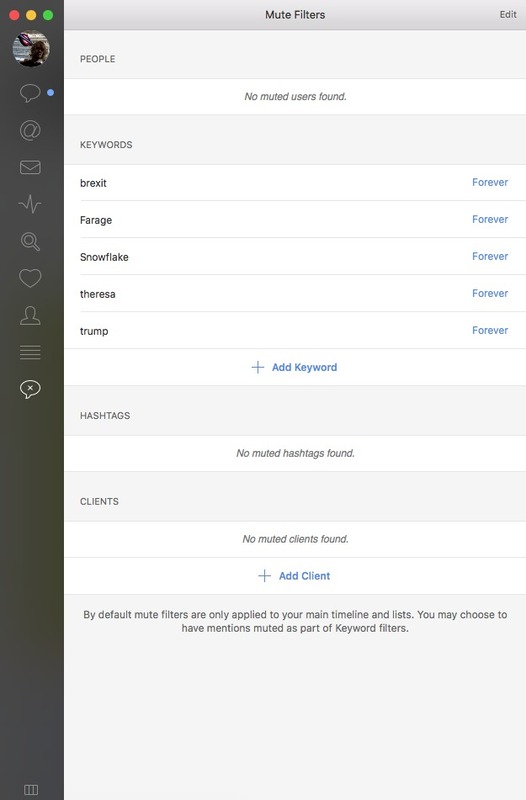 If you run a website, try to keep control of your content. Why post pictures to instagram when you can post them on your website, why write epic posts on Facebook when you could self publish them. Build something for yourself & stop funding the platforms. 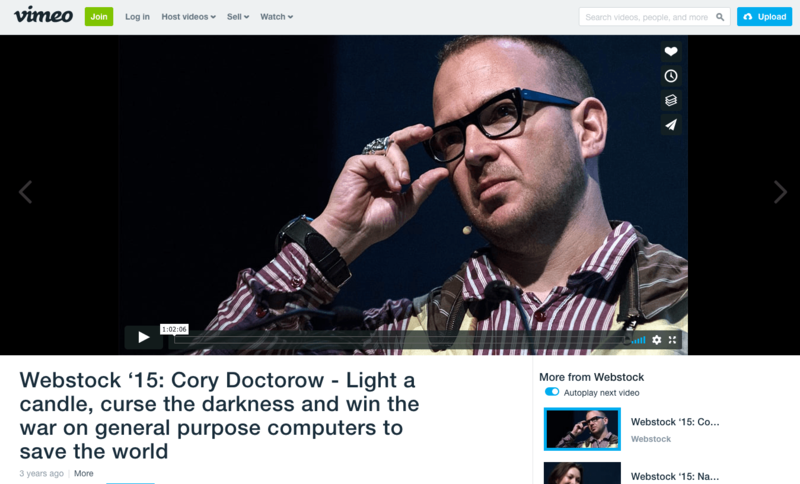 The internet needs more self hosted work & less ‘platform content’. I could write for hours about these topics. 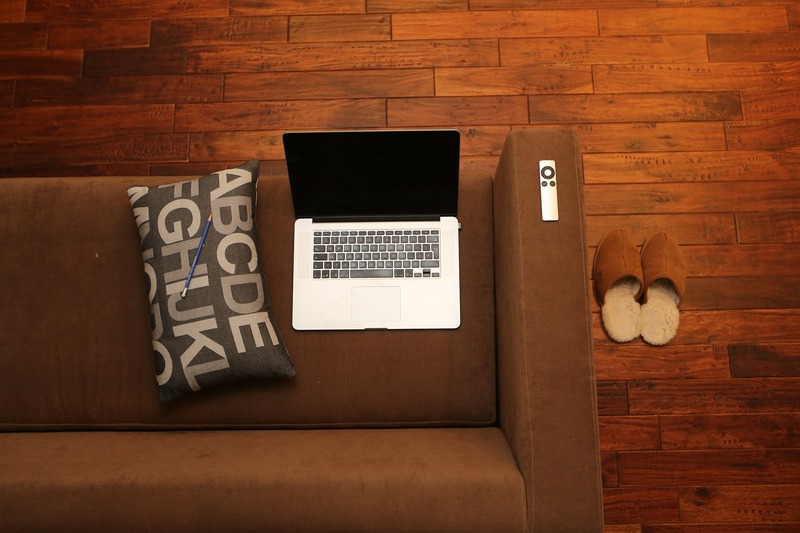 The commodification of the internet and our content is a massive bugbear. We, the creators, the writers, the photographers and poets, we create the wealth on the internet. Without our words, our videos, our songs, our art the internet is a connection of computers, nothing more. We all need to realise that we are the value creators & the mega monopolies are the parasites. They sell our work and don’t pass along the profits. Keep creating & keep fighting for a fairer internet.